The notion is absurd on its face: professional athletes needing a motorized vehicle to bring them approximately 100 yards. And yet that was once the norm in Major League Baseball, where that quaintest of innovations, the bullpen buggy (or car, or cart, or motorcycle), held sway for nearly half a century. 1951: White Sox reliever Marv Rotblatt becomes the first pitcher to ride into a game in Comiskey Park's new bullpen car, prompting an unimpressed New York beat writer to remark, "Chicago is going bush. Just like Cleveland." The car is only for White Sox pitchers, but the team later provides a black Cadillac, supplied by a local funeral home, for the visiting bullpen. 1955: The A's begin using a bullpen car, but the White Sox ditch theirs "because customers were firing all sorts of debris at the car." 1965: Many teams usher pitchers into the game on golf carts, including the Braves. Late 1960s: With the bullpen cart's regular driver having gone AWOL, Dodgers backup catcher Tom Haller drives pitcher Jim Brewer to the mound, drops him off, and then runs into him. 1972: The Yankees begin using a pin-striped Datsun to bring pitchers in from the bullpen. 1974: Mike Marshall of the Dodgers becomes the first reliever to win the Cy Young Award. Among other behavioral quirks, he refuses to ride in the bullpen buggy, preferring to run to the mound, which at the time is considered a great curiosity. 1979: Orioles pitcher Mike Flanagan famously says, "I could never play in New York. The first time I ever came into a game there, I got in the bullpen car and they told me to lock the doors." 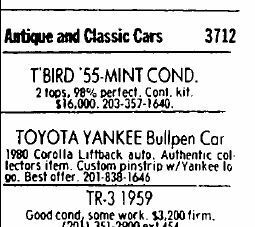 1980: A pin-striped Yankees bullpen car shows up for sale in the New York Times classifieds. 1981: The White Sox install a Chrysler LeBaron as their bullpen vehicle. ChiSox fan and Chicago historian Josh Cohen later recalls: "No one ever used it, because who wants to ride in a LeBaron? If the pitcher opted out of the ride, the LeBaron had to do a full lap along the warning track while the pitching change took place. The beer shower that the LeBaron received had to be seen to be believed -- full $3.50 cups came raining out of the upper deck. After about a month of this, they decided to leave the LeBaron on the center-field warning track during the pitching change. The next year, it was gone forever." 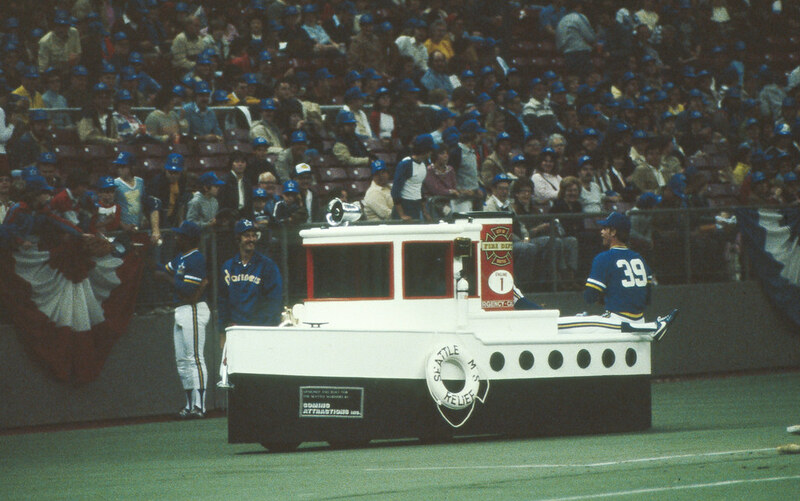 1982: The Mariners introduce a nautically themed bullpen conveyance called the Tugboat. 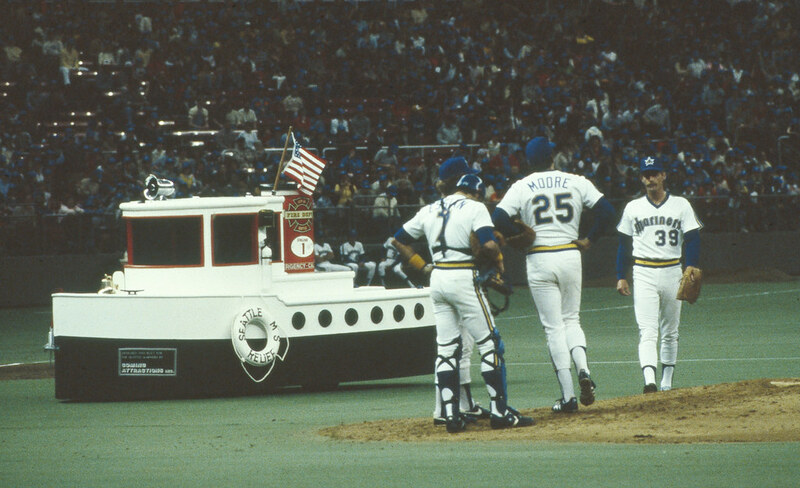 It gets off to a rocky start on Opening Day when pitcher Bill Caudill steals the keys during pregame festivities, leaving the Tugboat stranded on the left-field line and delaying the start of the game. Things don't exactly improve over the next few days, as fan Lyle Huber later recalls: "The Mariners' pitchers refused to ride in the thing. I remember laughing hysterically as I watched Ed Vande Berg sprint in from the bullpen with the Tugboat racing along behind him. This lasted for about a week before they gave up." 1986: With happy fans spilling onto the field after the Mets' division-clinching victory on Sept. 17, Mets fan and former Shea Stadium vendor Eric Bennett heads straight to the bullpen, where he hijacks the team's bullpen buggy. He takes it for a brief outfield joyride before the engine conks out. 1995: The Brewers' bullpen motorcycle -- a Harley-Davidson equipped with a sidecar for the pitcher to sit in -- is MLB's last remaining bullpen vehicle. It's retired at the close of the season. Additional notes: Although details are fuzzy, it appears that Atlana Braves mascot Chief Nokahoma once drove relievers out of the bullpen in a 1930s jalopy and that the Phillies once used a little fire truck for their relievers and a gasoline truck for the visiting team. ... The Red Sox bullpen buggy was later moved to a souvenir store across the street from Fenway Park. 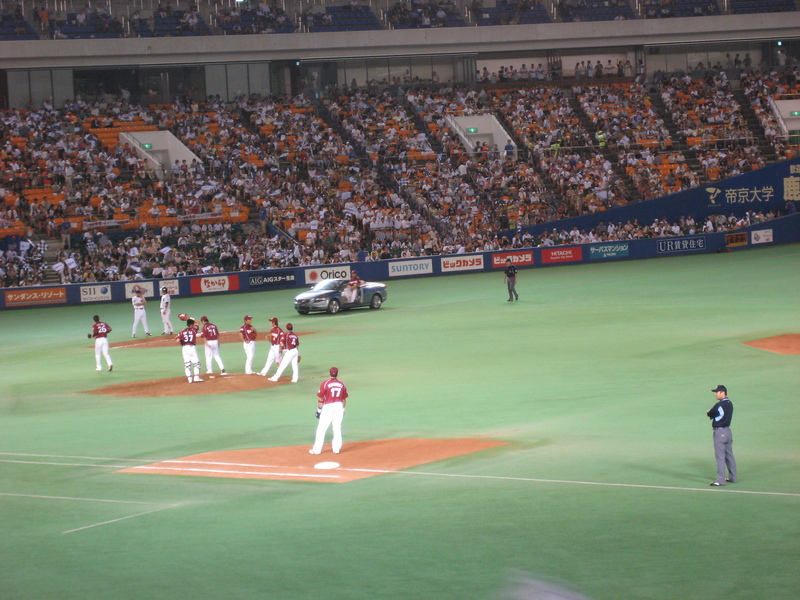 ... Bullpen cars are still used in Japan. 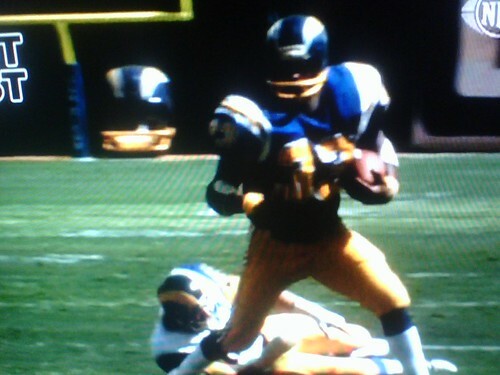 ... Football versions of bullpen carts have been spotted on pro and college gridirons. Bullpen carts may be gone, but they're not forgotten. Fans have a nostalgic fondness for them, and there was even a blog devoted to reviving them. So it's no surprise that when the Phillies moved starter Brett Myers to the bullpen this season, he said, "Do you think I can get one of those bullpen carts to get me to mound? That would be cool."